It may still be a little cool out, but it is time to start thinking of prepping your yard for spring! 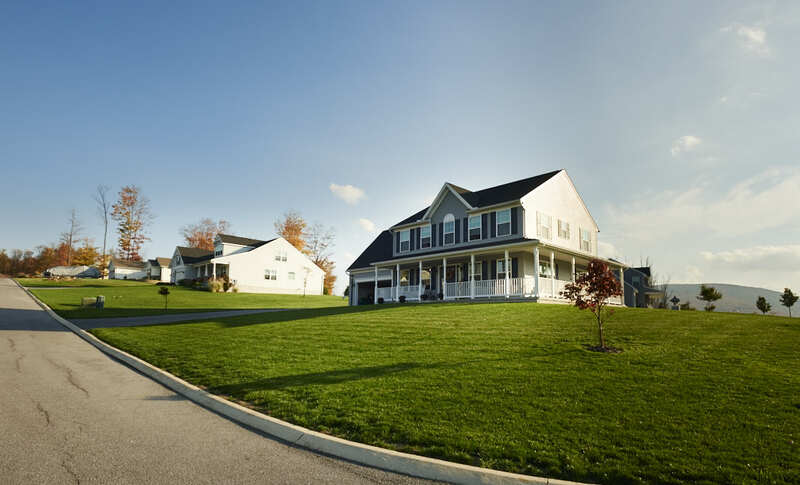 Making your S&A Home the best-looking house on the block can be achieved with a little bit of planning, and it isn’t necessary to have a green thumb to have a beautiful green lawn. Start with a thorough yard clean up. Rake the leaves and pick up any branches, sticks, acorns, pinecones and any other items that Mother Nature left outside during the winter. Raking is a great way to wake up the lawn as it removes debris and separates grass clumps that may have built up. Give those neglected shrubs a better shape and outlook. Pruning them in the spring can help them generate new growth while removing dead limbs, keeping them from getting too large and gangly. If your lawn is fairly weed free, you’ll want to fertilize it. Give the grass what it needs to grow to achieve that deep green, healthy color. To find out exactly what your lawn needs for optimum health, get a soil test. Penn State Agricultural Analytical Services Laboratory performs soil tests for the Penn State Extension county offices. Call your county office to get a test for a small fee. Thick happy grass has fewer weeds, so strive to grow thick grass! However, if your yard is dotted with weeds, then you probably want to apply a pre-emergent herbicide to prevent additional weeds. This type of weed control is applied in early spring with the goal of putting it on the grass before the weed seeds start to germinate. Mid-April is usually a good time to apply pre-emergence type herbicides in Pennsylvania. Aeration reduces soil compaction and creates a more porous system for delivering fertilizer, lime, moisture and other key ingredients to the lawn. Look for a core aerator with hollow tines, not solid tines. Aerating in early spring helps the grass to bounce back from the long chill of winter. Thin or patchy areas of bare soil can be overseeded in the spring. Typically, overseeding follows aeration or dethatching of the lawn – this is to ensure that the seeds actually make contact with the soil so they can grow. Your lawn will be rich and thick with these tips, and as we start to head into spring and summer, now is a great time to go ahead and get the larger lawn maintenance tools and machines out! Be sure to have your mower, blower, edger and all other gas-powered lawn tools serviced to be ready to work all summer long. We can’t wait to see your beautiful lawn as we head into warmer seasons! If you want to show it off, please post it to our S&A Homes Facebook page using the hashtag #LoveMySALawn.